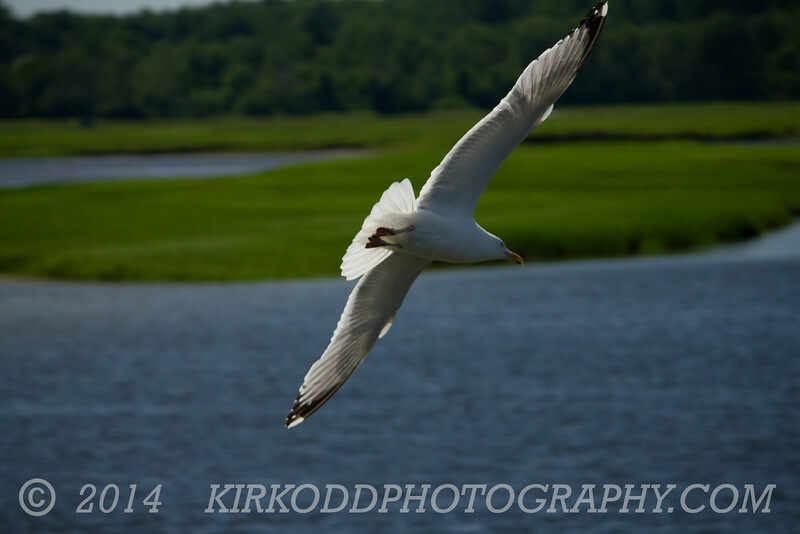 A seagull banks to the left at Pine Point, Maine. We got lucky with this shot, since we managed to capture both a nice background and had perfect lighting. This is the only seagull shot we have so far where the sun makes the bird's tail feathers glow.